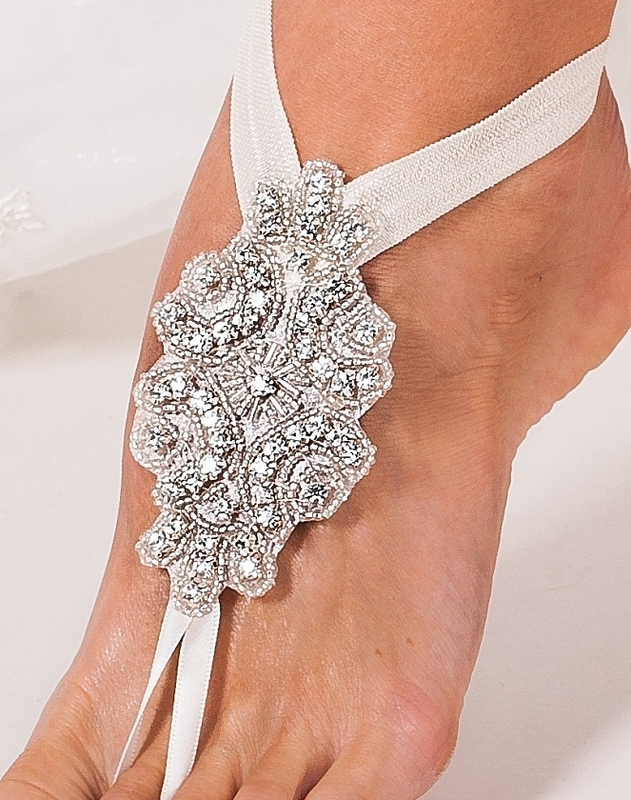 Luxury barefoot sandals for brides make a pretty wedding look into a breathtaking one. This divinely dazzling pair is made with ribbon elastic anklets for a fit that lets you walk on the beach all day or dance all night. A crystal-beaded medallion rests gracefully atop your foot, whether you’re in low slingbacks or baring it all – and if you’d rather not have shoes on for your pre-wedding boudoir photos, well, these barefoot anklets are the ideal choice! Available with its satin ribbon and elastic in four colors, including a daring “something blue,” this design is both original and handmade. 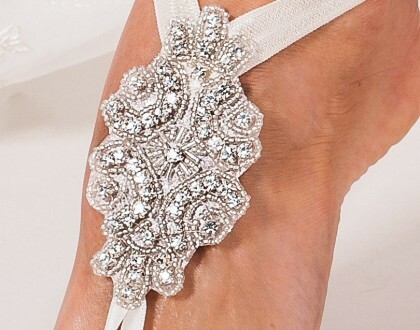 Give your wedding look the glamorous finish it deserves with these unique foot jewels!